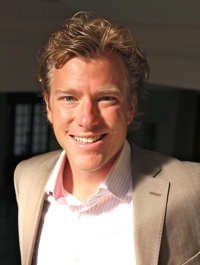 Nils Kok is an Associate Professor in Finance and Real Estate at Maastricht University. He is the recipient of a prestigious three-year grant from the Dutch National Science Foundation for his work on energy efficiency and sustainability in the real estate sector. His research has appeared in leading academic journals such as the American Economic Review , Review of Economics and Statistics , European Economic Review , Real Estate Economics , and Journal of Environmental Economics and Management . Besides his academic work, Nils is the co-founder of the Global Real Estate Sustainability Benchmark; an investor-led initiative to assess the environmental performance of the global real estate investment industry. Nils holds a PhD in Finance from Maastricht University.